Ronald Lang has worked in the printing industry for more than 30 years, bringing to his profession a keen sense of ethics, a strong understanding of the business, and, as his co-workers will attest, a very handy mechanical skill. In March 2005, Ron made the decision to start his own business and an astounding three weeks later, Lang Printing & Mailing opened its doors in the corner of a friend's shop. Within months, the business had added two printing presses and had expanded into the space next door. Ron's wife, Kelli, a writer and copyeditor, along with their daughter, Hayley, were pressed into service. 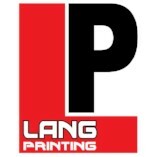 By June 2006, Lang Printing & Mailing had moved again, and had added a new 4-color printing press, a 4-station inserter, a folder, cutter, several laser printers and a full-time press operator. Lang Printing & Mailing continues to grow with the needs of our clients, adding equipment and employees each year. We are proud of the personal service and attention to detail that we are able to provide, and we know that it's the reason for our success. Although growth is necessary, we are determined to stay personally involved in each product that leaves our premises. To provide you with the highest-quality products and services possible in a timely fashion and at a competitive price. We promise to listen to you and help you achieve your business goals. We will always be there with honest, expert advice and quick, friendly customer service.